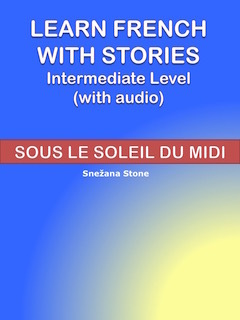 Improve your French with Bilingual French-English Readers accompanied by audio. One thing that trips up many students is French liaison. All my stories have mandatory and optional liaisons marked with an undertie sign ‿ (for example, en‿avril). I explain liaison more in detail here. 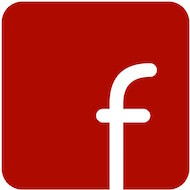 Immediately after purchase you will be able to download the PDF file(s). Also available as e-books at Amazon or iBooks. 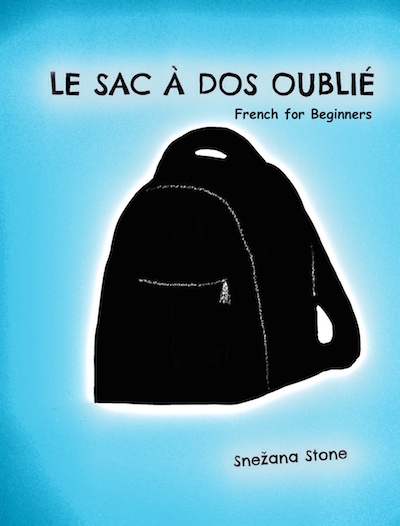 This book is aimed at beginner students with some basic knowledge of French and at low intermediate students. The story is written mostly in present tense, with some past and future tenses where needed for the story to flow naturally. It will help you expand your vocabulary and reinforce some elements of grammar (regular and irregular verbs in the present tense, some verbs in the passé composé, imperfect and future tenses, direct and indirect objects, possessive adjectives, and agreement of adjectives with nouns). Each short section is accompanied by a list of the harder words and expressions to help you understand the text without the use of a dictionary. The complete English translation is included, so that you can double-check your understanding. Always learn new words in a sentence, preferably in a sentence that relates to your experience, as it is a lot easier to commit them to memory that way. This book is not accompanied by audio. However, the recording of the sample is available below. The audio recordings will help you practice listening comprehension and pronunciation. The link to download the MP3 files can be found at the end of the book. This book is a collection of five short stories, inspired by the two rascals in my back yard. 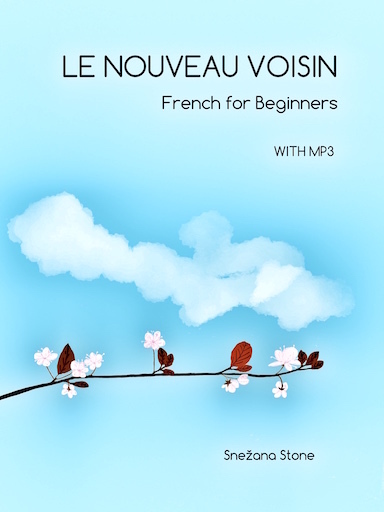 It is aimed at beginner students with some basic knowledge of French and at low intermediate students. The story is written mostly in present tense, with some past and future tenses where needed for the story to flow naturally. It will help you expand your vocabulary and reinforce some elements of grammar (regular and irregular verbs in the present tense, some verbs in the passé composé, imperfect and future tenses, direct and indirect objects, possessive adjectives, and agreement of adjectives with nouns). This book is not accompanied by audio. However, the recording of the first story is available below. Lucas notices an unknown woman following him. Who is she and what does she want? 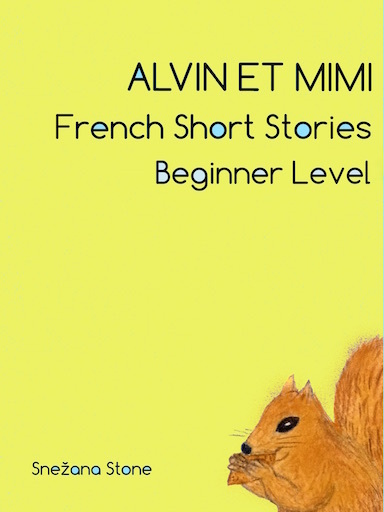 This book is aimed at intermediate students to help you deepen your knowledge of French. The sentences are simple, using everyday vocabulary. Each chapter is accompanied by a list of the harder words and expressions to help you understand the text without the use of a dictionary. The complete English translation is included, so that you can double-check your understanding. 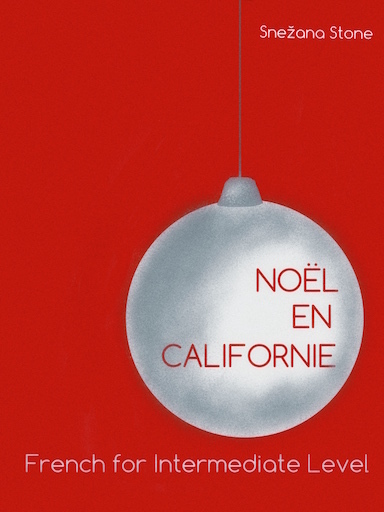 The story is written in past tense, helping you practice the passé composé, the imparfait, and the plus-que-parfait in an easy way. You will also practice future, conditional and subjunctive forms, as well as the relative pronouns that link complex sentences. This book is a collection of 50 short texts that cover a variety of topics, and progress in length and difficulty. 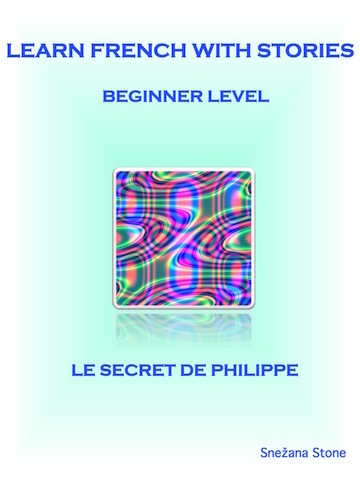 It is aimed at beginner students with some basic knowledge of French and at intermediate students. Each text is accompanied by a complete English translation, so that you can double-check your understanding. This book is a collection of five short stories, inspired by the two rascals in my back yard. 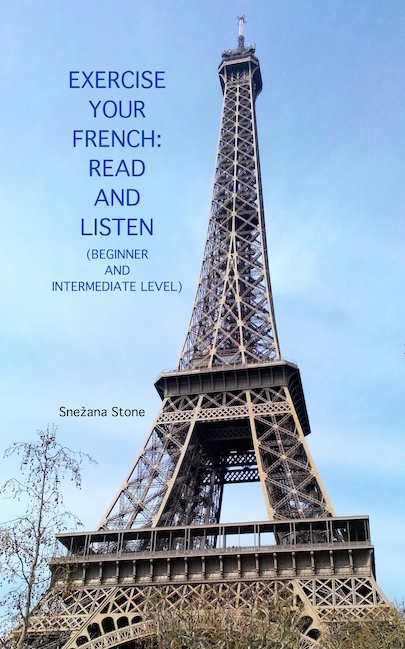 It is aimed at intermediate students to help you deepen your knowledge of French. The sentences are simple, using everyday vocabulary. Each chapter is accompanied by a list of the harder words and expressions to help you understand the text without the use of a dictionary. The complete English translation is included, so that you can double-check your understanding. 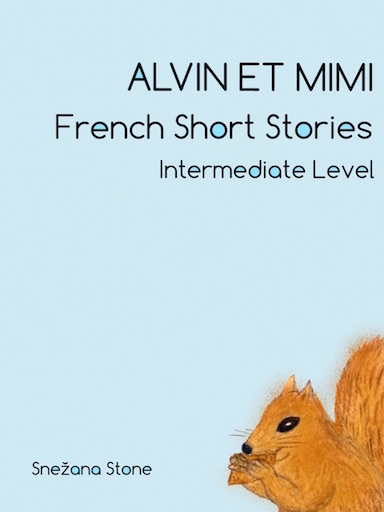 The short stories are written in past tense, helping you practice the passé composé, the imparfait, and the plus-que-parfait in an easy way. You will also find a few conditional and subjunctive forms, although they do not represent the main grammatical focus of the text.